Now is (almost) the time to come and hear novella-ist Nigel Featherstone, and poets JC Inman and P.S. Cottier. We’re all published by Blemish Books. 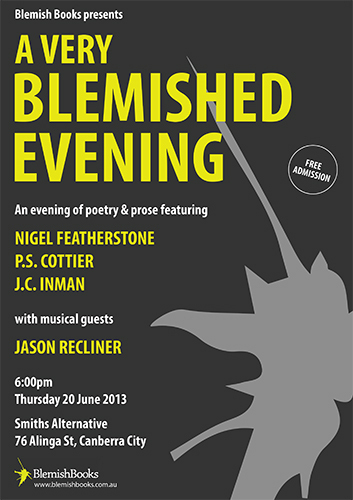 Band Jason Recliner will open proceedings at Smiths Alternative on Thursday, 20th June at 6pm.